The Pogues play Sally MacLennane in the key of D. This version is in the key of G which is more suited to the tenor banjo as the key of D brought the tune too low for comfort. 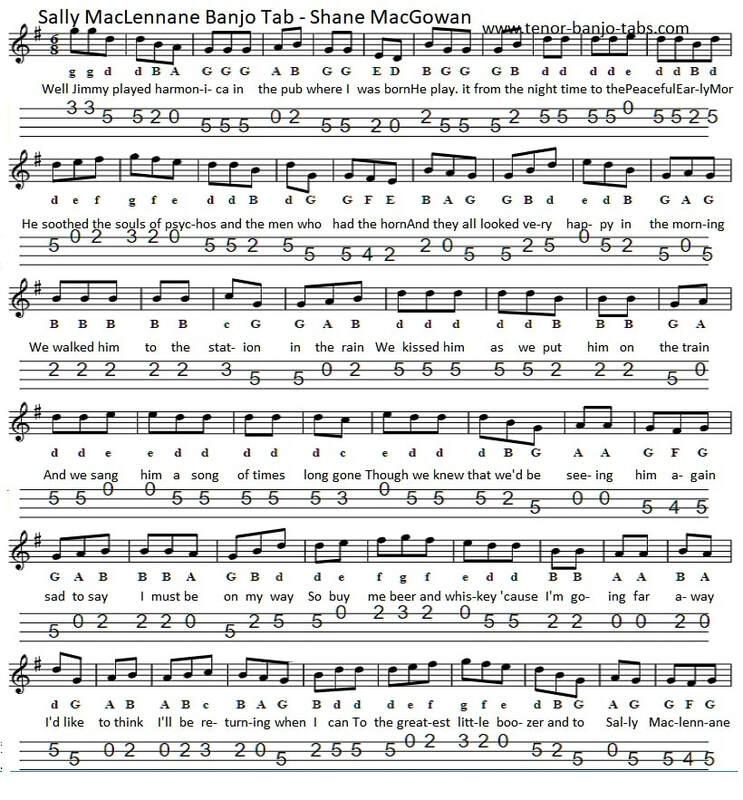 I have put the letter notes into the sheet music for those who still struggle to read tabs. The second verse of the song uses basically the same notes as the first verse.